The all new Cadillac CT6 2016 is definitely a creation for the people fond of speed with luxury. The V6 twin turbocharged engines producing an impeccable 400 Horsepower to run the vehicle. The power thus generated doesn't loses the drivers control and for this is the four wheel drive technology with the magnetic ride control, means the clutch will give the power in the hands of front tires only when its needed. Great isn’t it and this all gets adored with the 360 degree view camera for the security purpose. 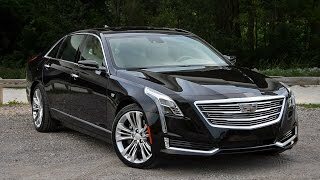 Doesn’t this sounds like a fable, well it isn't lets see more here in the Cadillac CT6 review and specifications. Makers with the Cadillac CT6 are not intended to hit the trio of Mercedes Benz S Class, Audi A8 and BMW 7 series, though the vehicle is too close to the trio, but the intentions with this much awaited and long percept release are to battle smaller German Models. As far as the above mentioned trio is concerned the soon to be out CT8 is manufactured keeping them in mind. The short wheel base of the CT6 and its length are on par with the BMW 7 Series, but the odd positioning strategy is making this model similar in size to any European luxury car. Apart the credit goes to the aluminum intensive platform that the model weighs as about the smaller CTS, which indeed is lighter than a 5 series model. 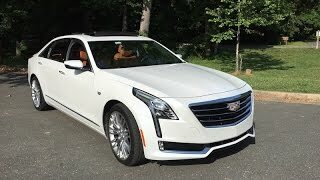 Till date only presumptions can be made as to whether the Cadillac’s strategy will work in the long run or not but it seems that the CT6 model will tick a lot of right boxes. Now that we are almost up with the basic theories involved, let us have a brief outlook first at the specifications of Cadillac CT6, followed by the descriptive journey. The specifications offered in its three different variants create the faith in the models suiting the needs of various sectors in particular. 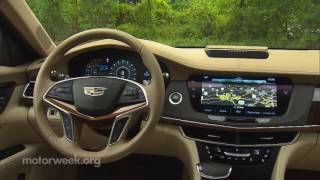 Now let us get a closer look at the Interior, Exterior and the Performance of Cadillac CT6. Cadillac while making this piece in particular made sure at every aspect that the piece comes out as best in class. It has a 2.2 Liter center console storage volume. The center console comes with a 10.2 inch capacitive touch display also offering touch pads for convenience at the arm rest. 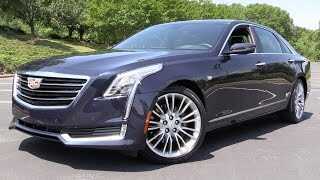 Apart from this the Cadillac CT6 also holds modern gizmos like a 360 degree camera system that can keep the record of all round view when the security system is activated. The same gadget also offers to view around vehicle or a night vision system that can detect large animals and people around your luxurious Cadillac CT6. For the final touch to interior section here, we would mention the Bose’s audio system fitted inside with 34 speakers being placed around the cabin. The CT6 from the buyers and spectators (majorly analysts) was expected to be on Elmiraj’s concept, though listening to it from the officials of team; they claim that the present exteriors are more dynamic and based on current art and science design theme. The front end looks as if chiseled out from a solid block, with vertical headlights giving distinct looks to the grille. As for the rear end it gives the typical modern Cadillac. Apart from this the rest goes neat and tidy, keeping the elegant looks of luxury. Unlike some of its German rivals the CT6 has been launched with a good V6 engine and above it the twin turbo charged engine with V6 developing a commendable horse power of 400 makes it distinct in segment. The CT6 comes with the magnetic ride control and an intelligent all wheel drive system is also paired that features a continuously variable clutch, delivering the power to front wheels only when it is needed. These few points in this luxurious sedan attached with the features it holds in its Interior and exterior segment makes it worth a stand.